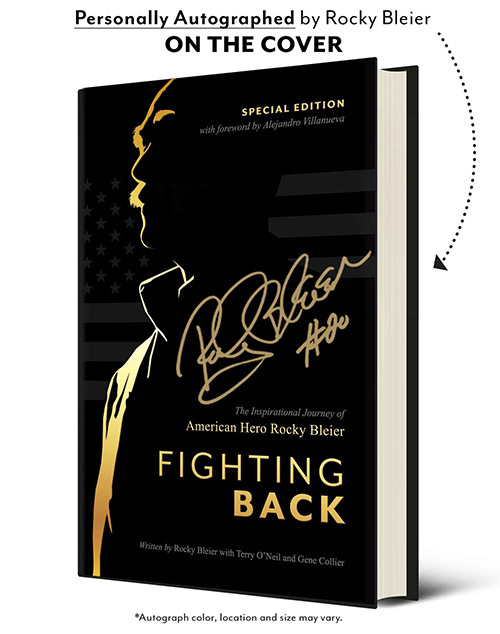 First 10,000 copies will be autographed by Rocky Bleier! For decades, Fighting Back served as a shining example of courage and determination for people in all walks of life. Now a special edition of the book that contains two additional chapters is available. Rocky Bleier, a Purple Heart and Bronze Star recipient who has actively supported causes related to military veterans for many years, will donate proceeds to three such groups -- Veterans Leadership, the Joint Training Facility, and Legacies Alive. Proceeds benefit the Fighting Back For Veterans Campaign. Framed through parallels to football and Rocky Bleier’s personal journey as a war veteran, national collegiate football champion, and four-time Super Bowl champion with the Pittsburgh Steelers, Bleier’s story explores both structural and emotional aspects for individuals and organizations to reach their greatest potential. To schedule a booking with Rocky Bleier, please contact your Speakers Bureau. For further information on Rocky, you may contact us directly with any questions. Rocky Bleier does not endorse any political candidates.